Spiral grooves all along the exterior of the pin allow the glue to expand and in doing so, creates a stronger bond. 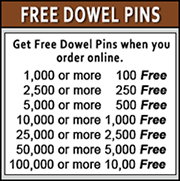 Caldowel manufacturers' premium pins competitively priced. 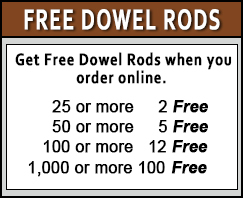 Our customer service and dependability is unmatched in the industry.